More than 1,500 pounds of e-waste was collected during the roadshow which common household appliances such as rice cookers, mobile phones, and rarer vintage electronics including Nokia mobile phones. The devices will be sent to an e-waste recycling facility where precious metals and other resources will be extracted and recycled. According to the National Environment Agency, Singapore generates more than 60,000 ton of e-waste a year. More than a quarter is discarded and only 6% of e-waste from households are recycled. E-waste that is not recycled is incinerated and results not just in the loss of resources that could have been recycled by proper recycling facilities, but also in the release of carbon emissions that contribute to global warming and climate change. 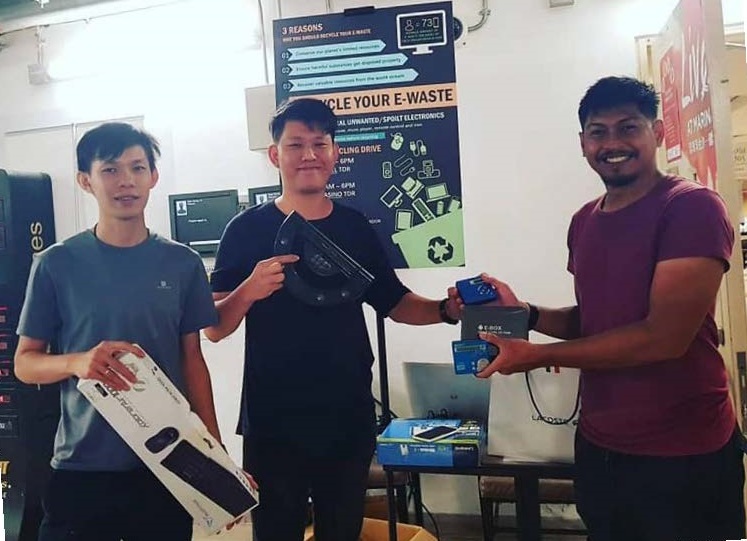 “It was very heartening to see Team Members go through the trouble to bring their e-waste from home to recycle when they can easily throw it away anywhere with their general waste,” said Yeh Wei Xuan, Assistant Sustainability Manager. Discover more information about Las Vegas Sands commitment to sustainability through their Sands ECO360 strategy.